Unit 13 PS Vita Review. Unit 13 is a little dated but it's a good attempt! 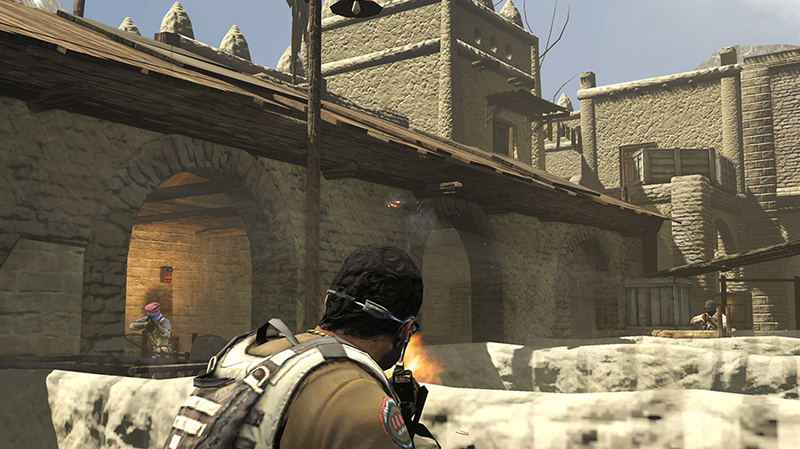 Created by Zipper Interactive of SOCOM fame, Unit 13 for the PS Vita is of a similar vein and is one of the first shooters to grace this console. Given that, if you weren't a fan of the SOCOM series, than Unit 13 probably won't fill your gaming appetite and to make matters worse, the overall experience feels a little clunky on the PS Vita. 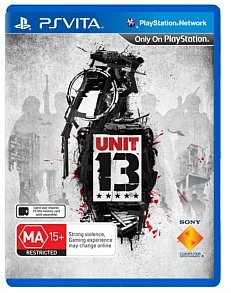 The story of Unit 13 has also taken a backseat as you are a member of an elite group of soldiers who must engage in a variety of tentatively linked missions, 45 to be precise in either single-player or online co-op. • Immersive and intuitive shooter controls with dual analog sticks and front and rear touch pads. • Select from six unique military operatives and take on 45 missions, competing against friends and the world for high scores. • Play solo or cooperatively with a friend over Wifi. • Conquer unique daily challenges and compete for high scores. • Stay connected with 3G, Wifi and NEAR for rankings updates, mission unlocks and more. Nonetheless, it's interesting to play a shooter on this console and I must admit that using the two analog sticks to navigate and look is actually quite flawless. Shooting with the shoulder buttons is just as good, however the inclusion of the touch screen seems a little off. 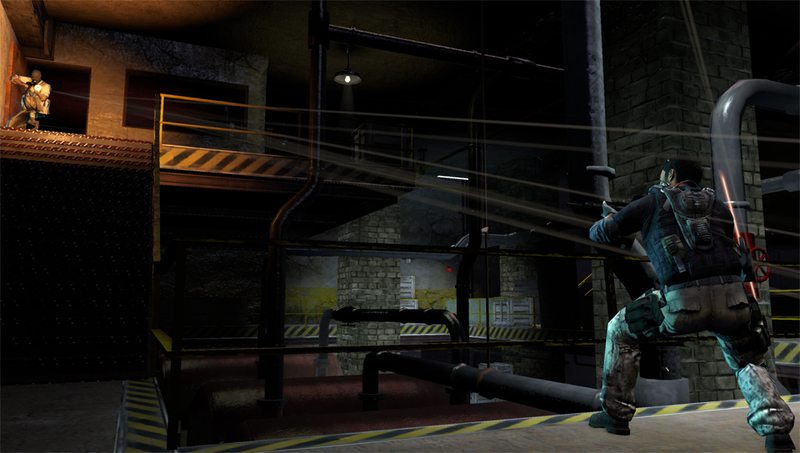 Every now and then, you will need to interact with the screen such as hacking into a lock or changing weapons. This does break the momentum of the game and feels slightly forced. The single-player missions are sturdy but the game definitely improved with online co-op but finding someone to play can be a little difficult. 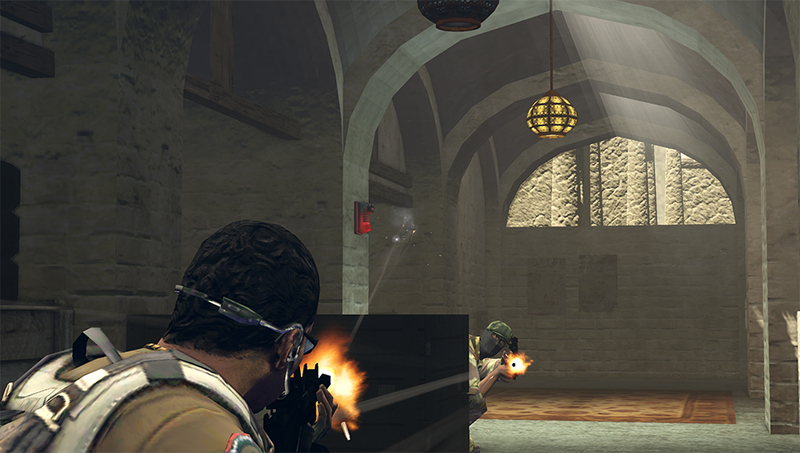 Gameplay is reminiscent of most standard third person shooters that allows the player to interact with the environment and the enemies from this perspective. The game does contain a cover system which initially was a little fiddly to use but once I started playing, it did become like second nature, including swapping between weapons and using the touch screen. Using the two analog sticks was almost like using the DualShock controller on the PS3, so things are definitely looking good for this console in terms of controls. The first level of the game is a tutorial which teaches you the basic game mechanics of navigation, using weapons and interacting with the environment. Thankfully it's quite a short tutorial and once you are finished, you can then proceed with the 45 missions. When you have selected a mission, you then need to select one of six playable characters to control such as the Commando or Engineer, each with their strengths and weaknesses. On this screen, you can even kit out your characters with different weapons and items that would best suit the mission, however the suggested items work just as well. As you progress through the missions, you are awarded experience points which can then be used for certain bonuses for your characters. Characters can progress to level 10. The game also uses a score based system as well which is then linked to an online leader board for players to shine in their gaming prowess. Combat in Unit 13 is fun and gives the player a wide choice of how to dispose of them from stealth attacks to just going in with guns blazing. 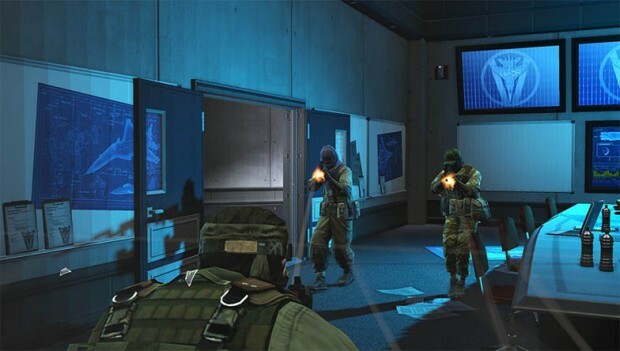 However strategy is definitely needed, especially when there are more than 2 enemies in a room. As you progress, missions become considerably tougher and fortunately there are plenty of checkpoints to restart. AI on the other hand is a little old school because even if you're hiding and shoot a target, the enemy are generally automatically informed of your position. Given that, the old school gaming format is a little dated that does hamper the overall gameplay of the title, especially that this game is only a collection of missions. Graphically, Unit 13 looks a little dated more particularly "jagged" on the PS Vita and is not as sharp as some of the other titles currently available. Animation for the most part is smooth but every now and then, the console does struggle and loading times are not the best. Add in a generic soundtrack and some decent voice acting and Unit 13 does come together but the overall result is not fantastic. Sound effects like guns and explosions do sound very impressive through the speaker system. Unit 13 for the PS Vita is an interesting game that unfortunately doesn't try to move out of the safe zone. Games like this have been around for quite some time and if the developer’s fine tuned the gameplay, graphics and more importantly, added a story, Unit 13 would have been a far superior title. However with the absence of a story, it does target the portable market as you can easily play a mission here and there without being drawn into the story. It's a little dated but it's a good attempt!